Environment and the Experimental Control of Plant Growth centers on the general role of environmental factors in plant growth and methods of providing the desired levels and limit of control. The book is organized into seven chapters focusing on the various factors in the environment, such as temperature, light, carbon dioxide, and water. It also describes the controlled environments for plant research. 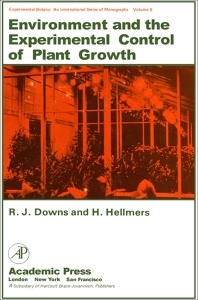 This book will help biologists understand what he is buying or constructing in terms of environment variability in plant growth facilities. It will also provide some help and guidance to those who have encountered the problem of not obtaining the degree of control they have expected in the units they have in hand.